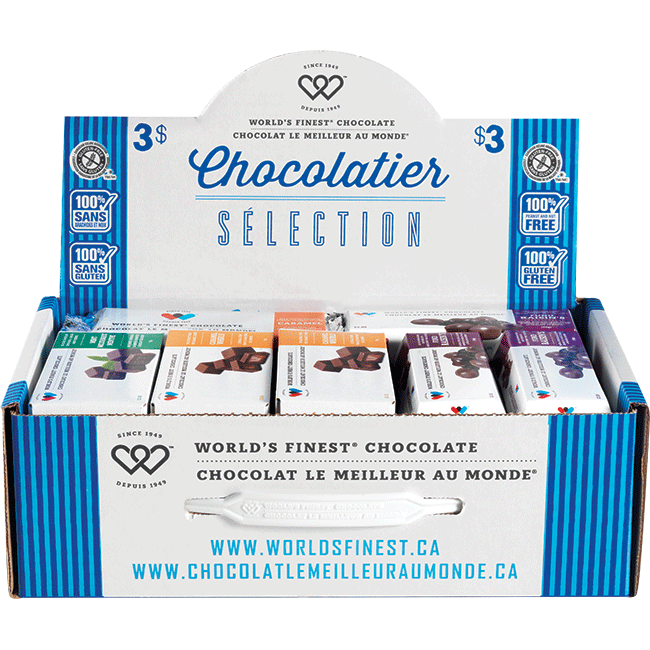 Since 1958 World's Finest® Chocolate has been a staple in school fundraisers throughout Canada. We have earned millions for schools, sports and associations throughout the country. Our in-house staff and Fundraising Specialists go out of their way to make fundraising simple and easy. 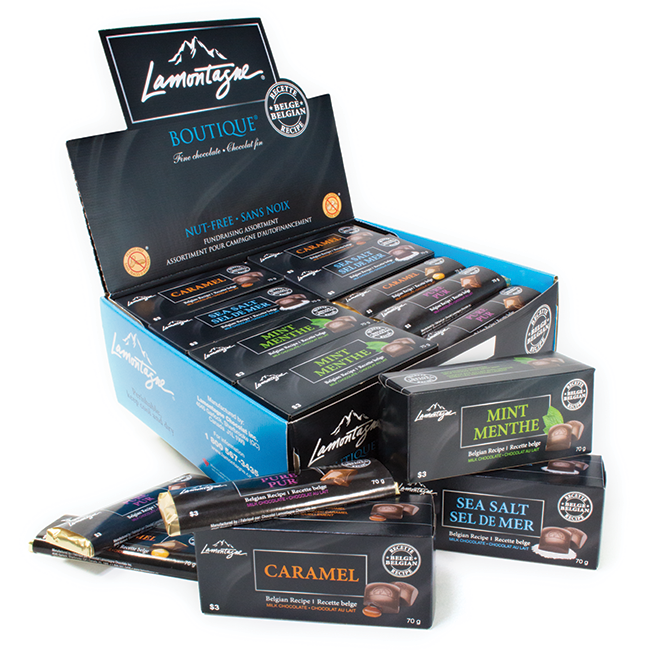 Our commitment to you is that we promise to continuously build on the latest innovations in chocolate manufacturing technology and will continually search out to develop unique blends using our premium chocolate with the best ingredients obtainable. All our products are proudly made in Sherbrook Quebéc. As part of the World's Finest® Chocolate Family in the United States, we are proud to announce 80 years of Fundraising! Since 1949 Ed Opler, Sr. has seen 3 generations of family steer his company into America's #1 Chocolate Fundraiser Choice. Now run by his grandson, Eddie Opler Jr. World's Finest® Chocolate can now boast over 4 billion dollars raised throughout North America for our fundraising customers! 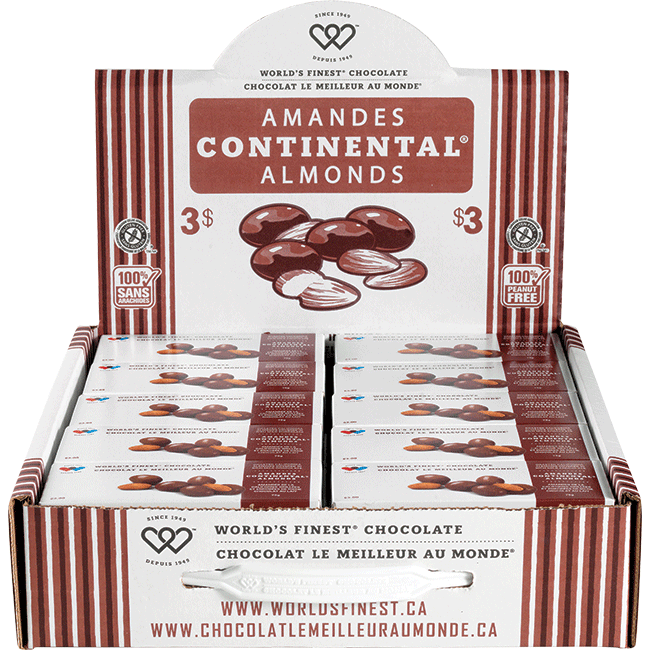 At World’s Finest® we pride ourselves on being one of just nine companies in North America that can boast ‘we manufacture our chocolate from bean–to-bar!’ We import, roast, and grind all of our cocoa beans in our own factories, personally controlling every step of the chocolate-making process. Properly roasted cocoa beans are the foundation and first step towards a rich and delicious World’s Finest® Chocolate product. By using only the finest raw ingredients and our unique family recipe, we ensure that every piece of chocolate will deliver the satisfaction that you and your fundraising customers desire. All our products are produced in a nut free facility. It is our pledge to you that we consistently strive to achieve excellence in productivity, quality and service. 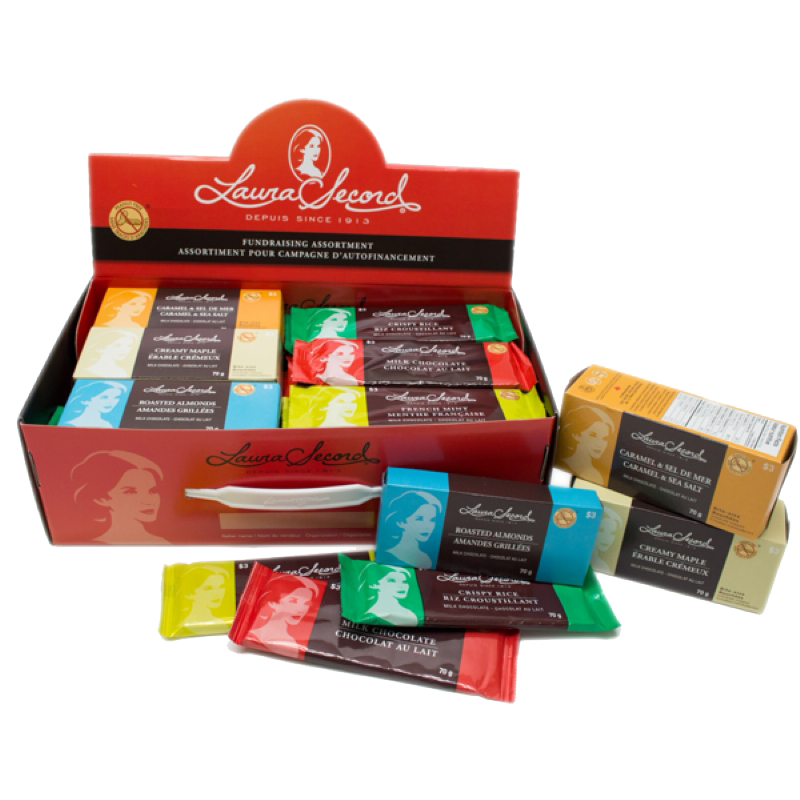 World’s Finest® Chocolate manufactures chocolate in a state-of-the-art facility using the finest ingredients. All our products are produced in a nutfree facility adhering to 100% accuracy in our product labeling. Each product is identified and listed in compliance with the current food labeling requirements. We understand the importance of respecting all levels of food allergies. That is why we sample and test ingredients from our suppliers on a regular basis to ensure reliability, consistency and compliance. We are proud to offer completely nut free and peanut free products as part of our fundraising line. Peanut and Nut Free product. We are also Gluten Free. Our Mission: To Deliver Extraordinary Value with Fun and Purpose. Delivering Extraordinary Value with Fun and Purpose is what our employees aim to do every day. Our shared values include making delicious chocolate from our family recipe; providing high-quality, affordable products; offering fundraising solutions that are easy to execute; servicing our customers well; and working safely. It’s definitely fun to make chocolate, and it’s even more fun to make chocolate that makes a difference. Whether you remember World’s Finest® Chocolate from fundraising as a kid, as a gift given with love, or are trying our chocolate for the first time, we happily welcome you as a part of our cherished family tradition.